Are you tired of seeing wires and cables all over the place? 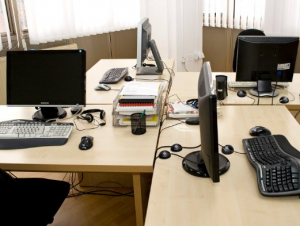 Having more and more cables spread around your desk? Looking for a cable and can’t find it? Cord management system will solve all the problems. Cord management system keeps all your cords organized and from tangling up so you can find them anytime you need them. Perfect for any home or office. Are you looking for an ideal way to keep cords organized behind the TV entertainment system or computer monitor? Look no further. 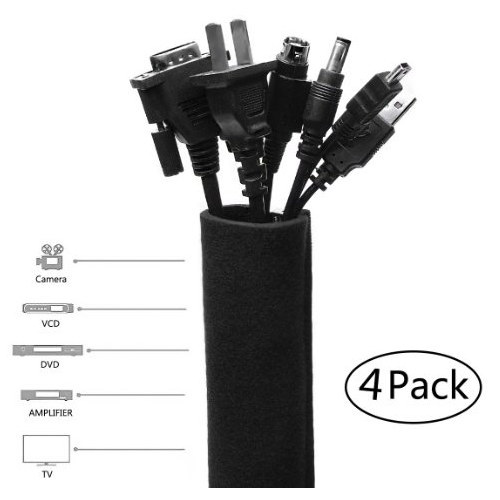 The Wuudi 4 Pack Cord Management System made from highly durable and flexible neoprene can bundle multiple cables without tearing. Very easy to use, just gather cables together and wrap the sleeve around and zip-up. Suitable for home and office and workshop use. 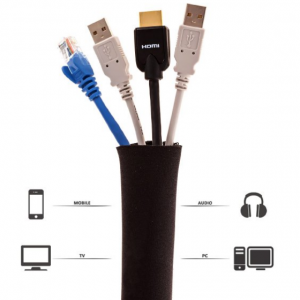 Keep your entertainment center or workspace tidy with the Captive Cables Sleeves. Made from thick, durable neoprene that stretches to fit multiple cables, these cable management sleeves are perfect for those large entertainment set-ups. You can also zip two together to fit double the cables. Simple to use, just bunch the cables together, wrap the sleeve around and zip-up. Perfect for anyone who has a bundle of cords that needs to be tamed. Finally, an efficient electronic cord management system that will keep all those cables around your desk, TV, computer or cell phone organized and in place. The Rexn Cable Organizer will make sure that your cables are organized and easy accessible for when you need them. With the certified and long lasting plastic, this eco-friendly cable organizer saves time and money by increasing the life of your cables and freeing you from looking for them. Good for all surfaces. Now you don’t have to search for the cables or accidentally step on the head of the cord with the Bluelounge Cable Management System. 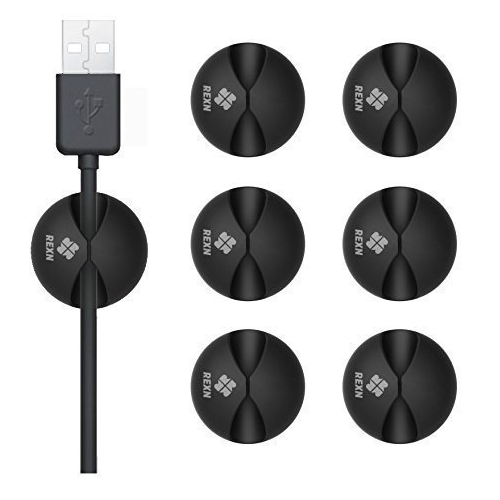 This cable organizer can be fixed behind or on the desktop, onto a facing wall or just anywhere you wish to have cables temporarily held yet easily removable or extended. 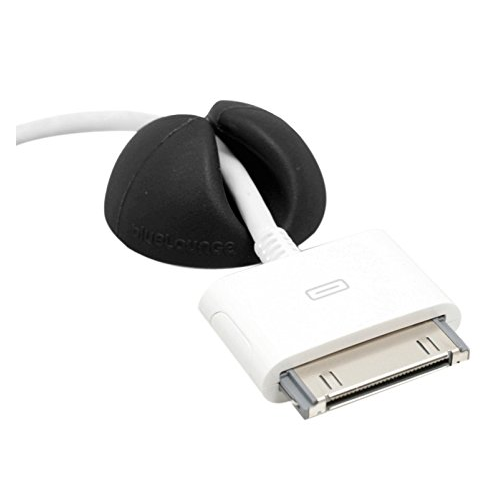 It gently grasps your power and peripheral cords to prevent them falling off your desk every time you unplug your laptop. A great solution to free yourself from that wired mess. 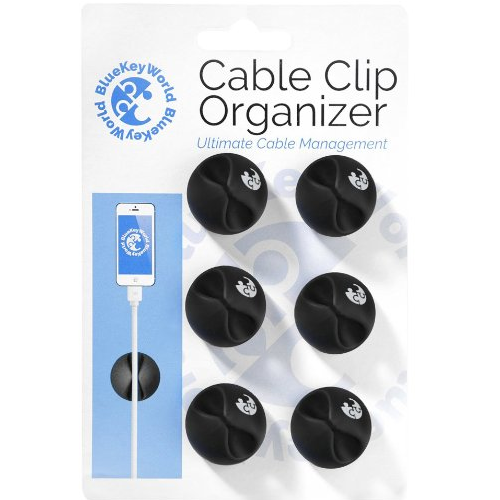 Make organizing your cables easier than ever with the Blue Key World Cable Clips. Well made and built to last, these cable clips are safe to use anywhere. They can work in all surfaces, plastic, wood, glass, rubber, metal and others, giving you easy access to all your cables in the position that you want. No more cables around your desk, TV, computer or cell phone. This great cable management system is perfect for any cable users.